Just 30 minutes away from the capital of Beijing, Tianjin can easily be overlooked by many visitors to China. It is this that gives the city part of it’s charm. The city has a mix of ancient hutongs and neighbourhoods that stand alongside impressive libraries and museums. Head to the Tianjin Eye for a view of the city or sample some of the local delicacies along the food street. Shop in one of the many malls or head to the expansive aquarium or Happy Valley theme park. Hostel/Budget rates – Hostel dorm beds cost around 50 RMB whilst private rooms in small inns and hotels cost around 100 RMB. Midrange Hotel rates – Good sized, double rooms cost around 300 – 600 RMB. Luxury Hotel rates – 5 star hotels are relatively cheap with most costing around 1000 RMB. Transport – A Taxi or a Didi around the city cost around 10 RMB for a 10 -15 minute journey, whilst 30-40 minute journeys cost around 40 – 60 RMB. Metro journeys start at 5 RMB and Buses cost 2 RMB. Average cost of food – Street food snacks start at 10 RMB whilst sit down meals at local restaurants cost around 30-40 RMB per dish. Buffet or more high-end restaurants cost around 200 RMB whilst western food costs anywhere between 100 – 400 RMB. Beer costs as little at 10 RMB whilst soft drinks cost around 5 RMB. Hostel/Budget – Jinjiang Inn, Tianjin Train Station offers clean, fairly spacious rooms for just 170 RMB, plus it is a great location near the train station and a short walk from the Italian Town and food street. The Tianjin Cloud Bay Hostel offers male and female dorm rooms from 56 RMB. Midrange – In the middle of the business district, Hotel Nikko is a popular hotel with spacious rooms from 430 RMB. Chain hotel Holiday Inn offers comfortable, western rooms for 269 MB. Top End – Shangri-la has an impressive interior with river view rooms costing 1000 RMB – they also offer a fantastic Sunday Brunch! You may also wish to splurge for a room at the Four Seasons hotel, also costing 1000 RMB a night. Fly – Tianjin has a growing airport with direct flights from many destinations around Eastern and South East Asia. Flights to Beijing are frequent from most places around the world, direct flights from London are available with AirChina or British Airways. 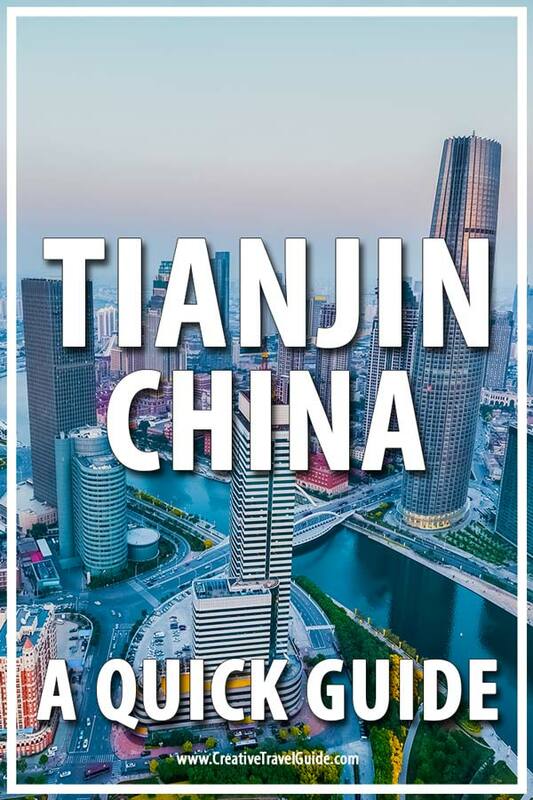 Train – Speed trains from Beijing South get you to Tianjin in 30 minutes, tickets are available at the station or via the cTrip website and app. Taxi – A taxi/driver from Beijing to Tianjin will cost around 500 RMB. The metro is expansive and still growing. A ride on the metro is cheap and easy to navigate; use the Metro China app to help you plan a trip. Download the Didi app to order a taxi anywhere in the city, plus it can be used anywhere in China too!